Offering 14 expansive acres of cool aquatic fun, Hawaiian Falls Mansfield is one of the newer additions to the Hawaiian Falls family of Texas waterparks, offering hours of splashing fun and activities for the entire Dallas Fort Worth Metroplex. Whether you're longing to spend quality time with family or you just want some relief when summer temperatures soar, you'll discover a broad array of enjoyable attractions at the Hawaiian Falls Waterpark in Mansfield, Texas. With rides and attractions that range from thrill to chill, Hawaiian Falls Mansfield lives up to the high expectations that families demand from each of our five waterparks in Texas. From the four-story-high Torpedo to the Hawaiian Halfpipe, the Big Kahunas in your family will rave about our Mansfield Waterpark's 14 water slides. With interactive waterpark features like geysers, pulleys and water buckets, your little ones will adore the Keiki Kove. The entire family will enjoy a relaxing ride on the Kona Kooler lazy river or a refreshing dip in our Waikiki Beach wave pool. Our family-oriented Texas waterparks are known for the highest standards of safety and cleanliness as well as for the wide range of thoughtful extras that we offer to our guests. 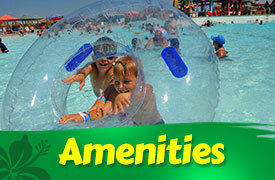 We make sure that all of our waterparks in Texas include amenities that enhance your family-fun experience. Our Mansfield Waterpark features a surf shop, restaurants, picnic areas, locker rentals, and free parking. 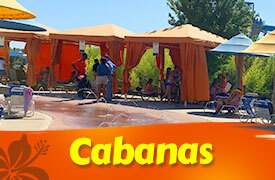 From private cabanas to birthday party facilities, our waterparks in Texas are designed to meet your unique entertainment needs. Menu and Surf Shop items at Hawaiian Falls Mansfield are subject to availability and may change at any time. 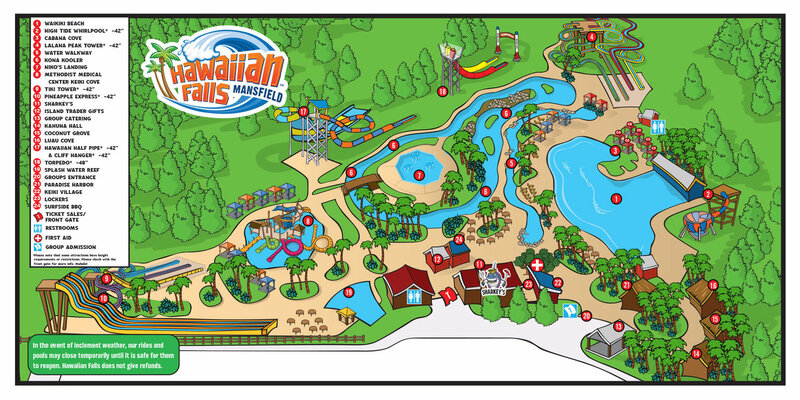 Hawaiian Falls Mansfield is located ten minutes south of Interstate 20 at 360 and Heritage Parkway South, across from Big League Dreams. 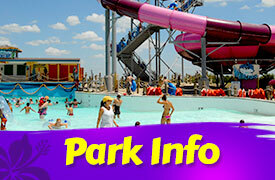 Parking is always free at Hawaiian Falls Mansfield. VIP Parking may also be available for a nominal fee. Hawaiian Falls Mansfield always has free floating tubes and life jackets. Coolers are allowed but there is a fee. Whether you are visiting the DFW area this summer or you live south of Interstate 30, Hawaiian Falls Mansfield is your family’s water destination. 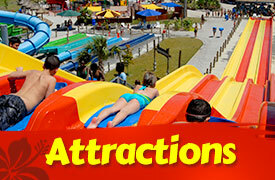 With all the water slides and thrill rides, Hawaiian Falls is the place to be all summer long. Come beat the Texas heat at our southern Dallas waterpark in Mansfield, TX. Also dedicated as your Fort Worth waterpark, Hawaiian Falls Mansfield is where you and your family can gather all season long. If you’re searching for an Arlington waterpark, look no further than Hawaiian Falls, the family-friendly place to be this summer. Your Grand Prairie waterpark at Hawaiian Falls Mansfield is the place to be for exciting summer-long water attractions. For all of our Irving waterpark friends, head on out to Hawaiian Falls at Mansfield for family fun and adventure all summer long.